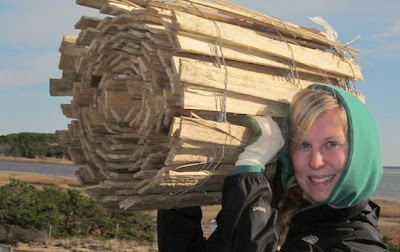 and collectingsand on small scale, Bayside restoration projects. 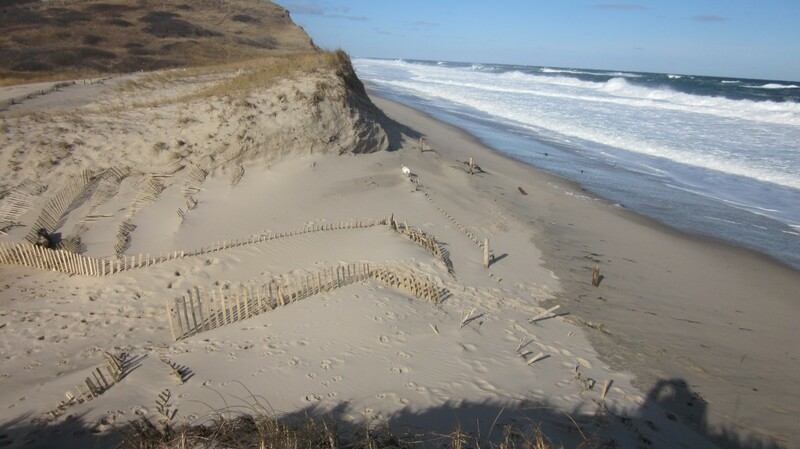 ◼ Massachusetts Office of Coastal Zone Management - If you are looking for some defense against the winds, waves, and flooding that continuously batter and eat away your coastal property, American beachgrass (Ammophila breviligulata) is your plant. This hardy, salt-tolerant, native grass has strong, fast-growing underground rhizomes (root-like underground stems). 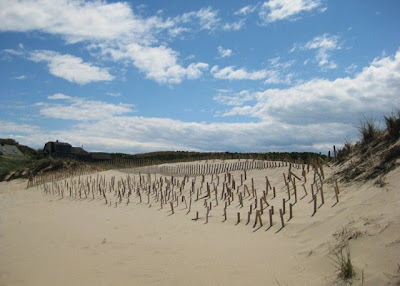 The rhizomes spread beneath the sand and give rise to many new plants, helping to stabilize sands. 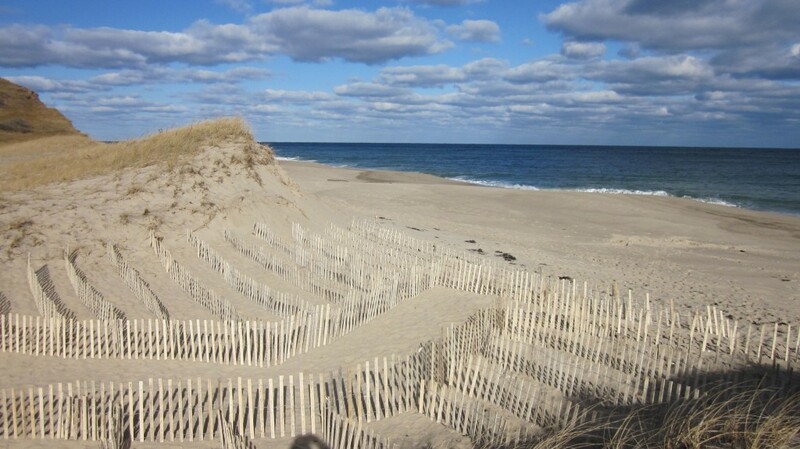 Beachgrass also tolerates salt spray and occasional wave overwash, drying winds, low nutrients, heat, and excessive sunlight, and grows well in sandy soils, making it ideal for coastal use. But maybe the best thing about beachgrass is that it helps to develop, build, and maintain dunes. 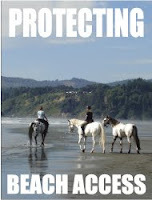 We had received reports that our fending was "gone," an upsetting thought. We were stunned at the results of this random experiment. The Shoreline and Waterway Management Section would like to thank the many volunteers who came out on March 23, 2013 to plant Delaware's coastal dunes with Cape American Beach Grass. 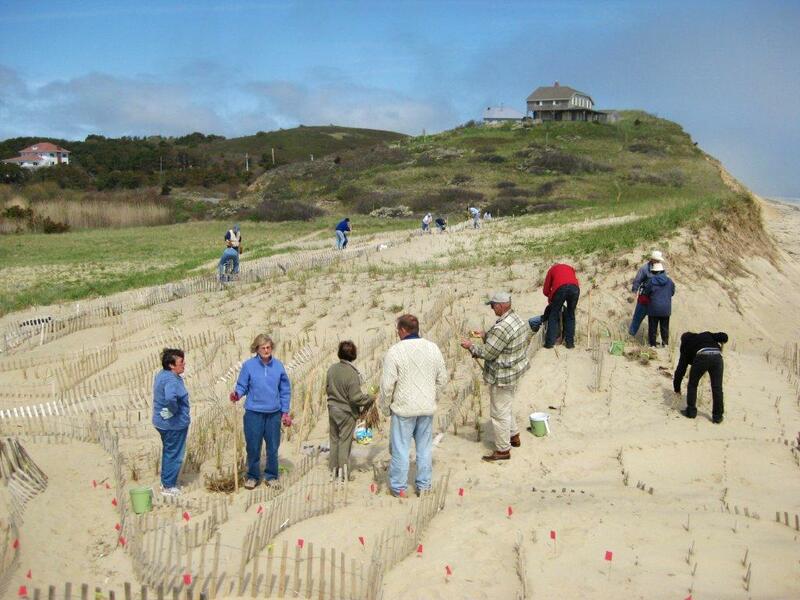 We would also like to thank for their support of the annual beach grass planting the Delaware Mobile Surf Fisherman, the Indian River Inlet Life Saving Station, the Children's Beach House, Pepsi Co., Masley Enterprises, Inc., Giant Foods, Safeway, Outdoors Delmarva and Delaware State Parks. 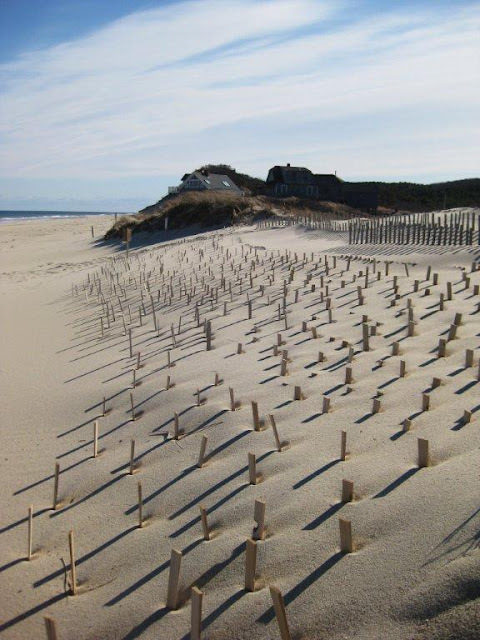 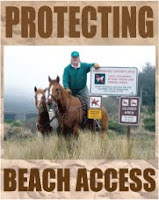 Also, please visit: ◼ Dune Protection and Improvement and ◼ Barrier Island/Sand Cycle to learn more about beach and dune preservation.